This course is designed as an introduction to beauty make-up with an emphasis on the techniques required today in this multifaceted industry. Regardless of which of these areas you intend to work in, mastery of beauty make-up is a must. In this course you will start by learning facial analysis, base matching and application, correction, contours and highlights, with an added focus of eyes and lips. The course finishes with complete makeup applications ranging from one hundred percent corrective to natural make-up. This course consists of 24 sessions for a total of 84 clock hours. 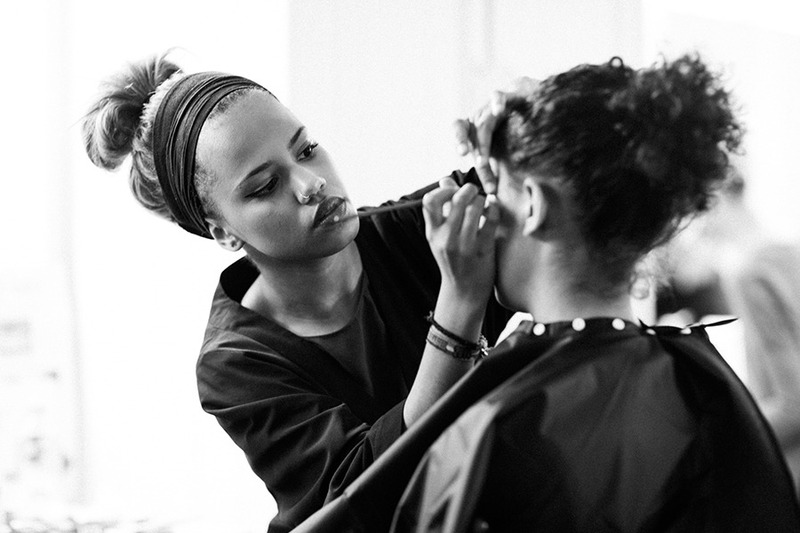 If you want to work in the make-up industry, this training course is what you need. You will learn facial contouring using highlights and shadows, correction and concealing techniques, base matching, eye and lip treatments, airbrush techniques, and the proper use of powder and cheek color. As part of this course, students will be required to complete projects that range from natural make-up to avant-garde looks. Our make-up training course, ‘Beauty Essentials’, consists of four modules: Foundation, Highlight & Shadow, Eyes & Lips, and Beauty. ‘Beauty Essentials’ focuses on the techniques that you need in this highly diverse sector. Regardless which part of the industry you plan to work in, mastery of beauty make-up is an absolute must! In this training you will start by learning facial analysis using face charts, choosing the right foundation, making correction, creating highlights and shadows – both focus on the eyes and on the lips. 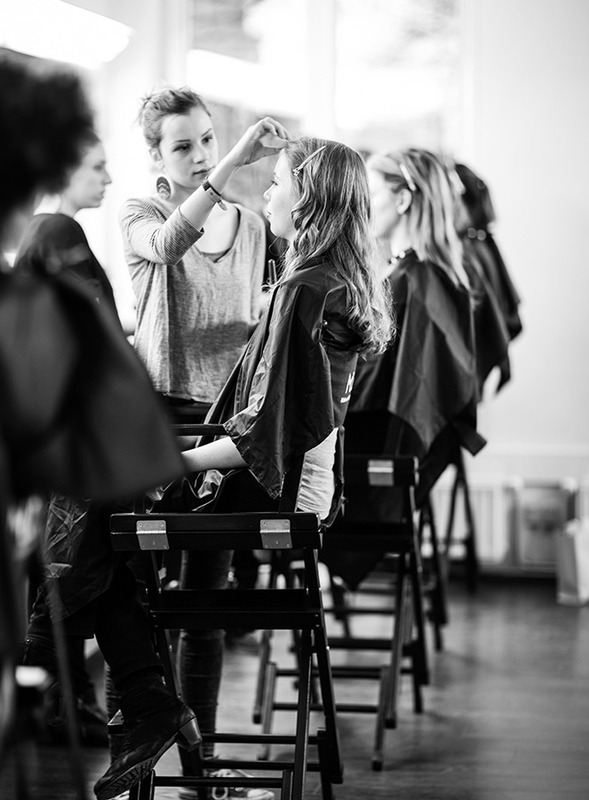 The course finishes with complete make-up application ranging from one hundred percent corrective to natural make-up. During this training you will get access to the MUD Job Board. A training platform that is exclusive to MUD students and graduates. Through this medium you will participate in promising internships that give you experience and your confidence a real boost! 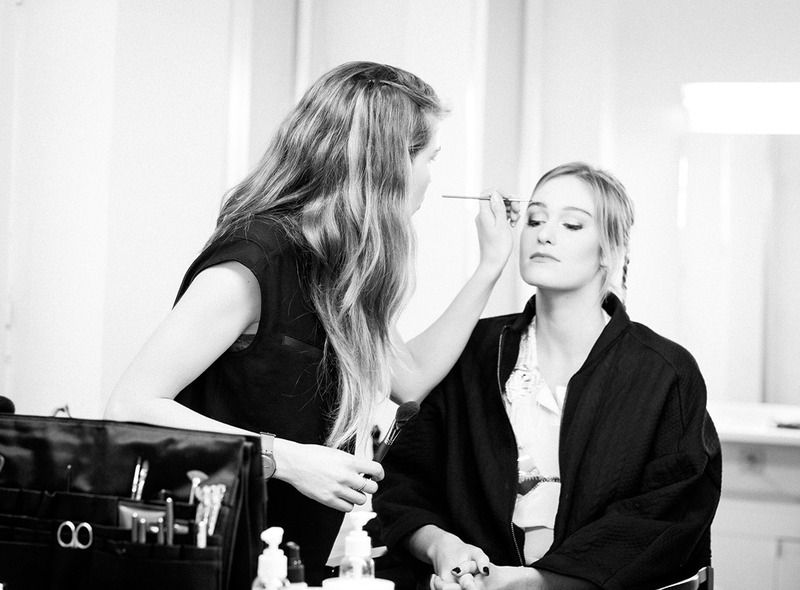 This ranges from fashion shows, filming, photo shoots to private make-up for special events. After the training you will get to start working as a professional make- up artist, in a variety of endeavors. Each experience will enhance your skills, and develop your creativity. To enrich your make-up skills and bring them to a higher level, we suggest you take part in one of our specialty courses. You will for sure recognize and experience the quality and professionalism of education. The module ‘Foundation’ follows the first four modules of the training, “Make-up Artist Pro I: Beauty Essentials”. It includes the most important skills of a make-up artist. How to create a professional and hygienic working environment. How to choose the right foundation for the complexion. How to transfer an idea to paper and from there onto face. Below, you can see the curriculum in detail. Why do we use highlights and shadow? The answer to that question you learn in the second module, ‘Highlight & Shadow’, where we discuss the basics of color correction and how to properly use highlights and shadows. 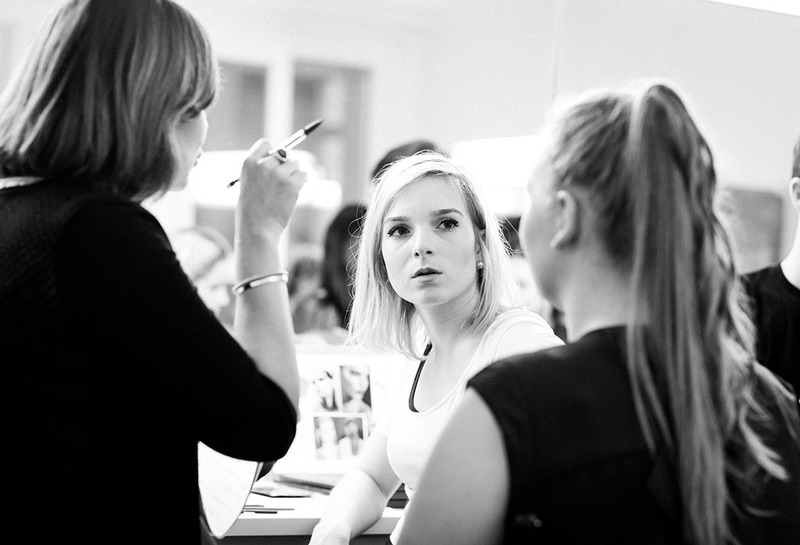 Module 1 and Module 2, together, comprise the most important skills of a professional make-up artist. Below, you can see the curriculum in detail. In this module you will learn to layer eye shadow, different eyeliner positions, correct form of eyebrows, lip color corrections, mascara application and how to use false eyelashes. Hands-on experience in class allows you to express your creative talents. But, first, you have to understand how to approach each area of the face properly to achieve the desired result. ‘Eyes & Lips’, is the third module of the course – ‘Beauty Essentials’. You will learn the most important skills every make-up artist need to have. Below, you can see the curriculum in detail. This module completes the four modules that are the framework of “The Core Skills of Beauty Make-up.” The focus is on creating complete make-up looks that enhance the overall beauty of an individual. This module draws upon the skills learned in prior modules in order to create a make-up application that corrects any issues while still achieving a natural look. Anyone who wants to learn beauty makeup in an intensive training can follow our ‘Makeup Artist Level I: Beauty Essentials’ class! No experience is needed: beginners and professionals are welcome. This make-up course lasts 84 hours, by doing this MUD makes the difference. 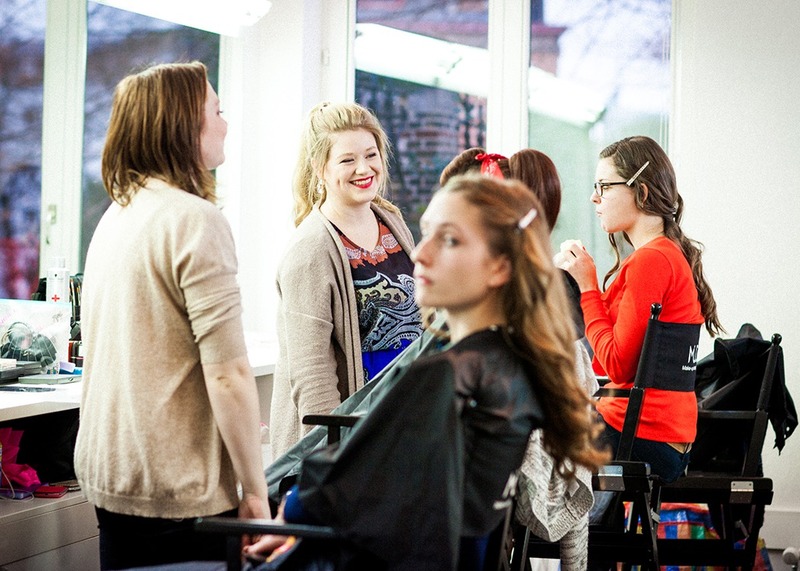 Because no other makeup school offers such an intensive training in beauty makeup. After this training you are ready for the next makeup challenge! We see this first 84 hours as the basics for learning beauty makeup. Are you already a professional makeup artist? Or are you having the passion but no experience? This training is aimed at both audiences with a highly unique and up-to-date curriculum, which originate from our main campus in the LA. Make-up Designory grew into the largest educational system that focuses exclusively on training for makeup artists. Over the years, we remain true to our educational standards, curriculum development and teacher training. So we created a standard form of makeup education that is followed worldwide. The same curriculum and the same high standards and MUD certified teachers can be found in MUDs main campuses in New York and Los Angeles, and through the international network MUD Studios. Are you familiar with the MUD Job Board? This internship platform is exclusively build for students MUD. After your their training you have access to this platform. Handy, because you can participate in real world situations and events such as fashion shows, film shoots, photoshoots and private make-up on events. A powerful boost for your experience and self-confidence!